A friend of mine recently asked me to send him the system I use to keep my inbox empty and manage the huge number of emails I get every day. I get asked to share this every once in a while, so I thought I'd just post it here for everyone. First off, I can't take credit for the foundation of this system – I adapted it from a fantastic book called Getting Things Done. Over the years I found myself streamlining the suggestions in that book, and the end result below is what I use every day. 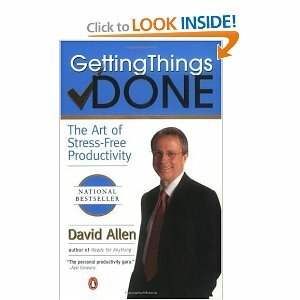 Second caveat: I also use a task management application called Things to manage all of my work todos by project. The tricky bit I always seem to run into is, a lot of my todos come through email, but not all of them. I either needed to get my other todos into the email system, or at least some of the email todos out into Things. I ended up opting for the latter. So here's the system. This may sound complicated at first, but once you get the hang of it, it's easy to use and can plow through a pile of email in not time at all. I also set up rules for automatically filing various AddThis related messages that I track separately, like translation submissions and product feedback. Check your favorite email application for more information. If a message can be immediately acted on, do so now; my rule of thumb is 10 secs to a minute tops. If the email is waiting on a response or an action from someone else, move to Waiting; I cc myself on messages so if I'm waiting for a response, I have a copy to put in this folder. If the message is project related and there is no action to be taken or pending, I Archive it into the appropriate Project folder. How often you sort through messages is up to you. You can do so frequently and keep your inbox empty most of the time, or set aside certain times of the day to plow through a longer list, avoiding the more frequent distractions. Each day go through Now for things that need to get done that day. Archive or delete items that are completed or no longer need to be addressed. Waiting on a followup? Move to Waiting. At least once a week go through Waiting. Done? Delete. Still waiting? Leave it. Should have heard by now? Send a followup email. Schedule time to do this, it doesn't take long. Every couple of weeks, go through Watch and Later, and either delete things or promote them to Now or Waiting. There you go. Even if you get hundreds of emails a day, this or a system like it can help keep things manageable. I also suggest unsubscribing to emails aggressively, but that's a different post. I hope this helps you as much as it has helped me. By the way, I'd highly recommend the Getting Things Done book above for other great ideas for managing the huge amount of information that swirls around us every day. Cheers! Yep, that can work great too. I think it depends how much you use email to drive tasks. At work, many of my day's tasks are driven by emails, so I've found this system works well. Gmail doesn't use folders, they use labels (http://mail.google.com/support/bin/answer.py?hl=en&answer=10708) and you could theoretically use the same systems but assign labels instead of putting things in folders. Then, something could be "Now" and associated with a project at the same time... when it's done, just remove the "Now" tag and it's instantly archived!